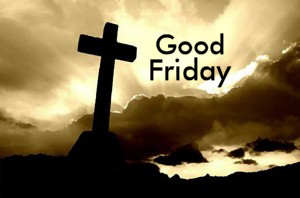 Everyone is invited to attend the joint service to honor Good Friday. Several local pastors are scheduled to participate, including Pastor Dave Presley, interim pastor of First Christian Church, Metropolis. An offering will be collected to benefit the Massac County Ministerial Association and its community services. Tenebrae Service will be held at 7 p.m.
12:05 p.m. – 12:55 p.m.
First Baptist Church, 301 N. 7th St., Vienna, Il. Everyone is invited to the community service hosted by the Vienna-Area Christian Ministerial Alliance. Divine Worship and Holy Communion. This entry was posted in All the Buzz - Bee Informed and tagged Christian, Easter, Good Friday on April 3, 2015 by massacbeeswax.